As I’m starting this blog, the intention is to post here my reading notes on yoga and related topics, as well as recipes, ideas, and reviews of vegetarian food. If the path takes us elsewhere, so be it. For me, this blog is a commitment to yoga – to practicing and learning. You’re welcome to follow along, and teach me. If you want to learn about my professional life, my two other blogs might be the place to do it. I know a bit about social media and public relations. If your life’s work is in yoga or any of the healing arts, I’d be happy to share with you whatever I know. All you have to do is teach me something in return. My yoga path started early, but it’s still at the very beginning. I remember waking up as a kid to my grandfather practicing yoga. That was back in the eighties, in communist Romania. My grandfather didn’t have a yoga teacher – just a few books he had bought before the communist regime set in. 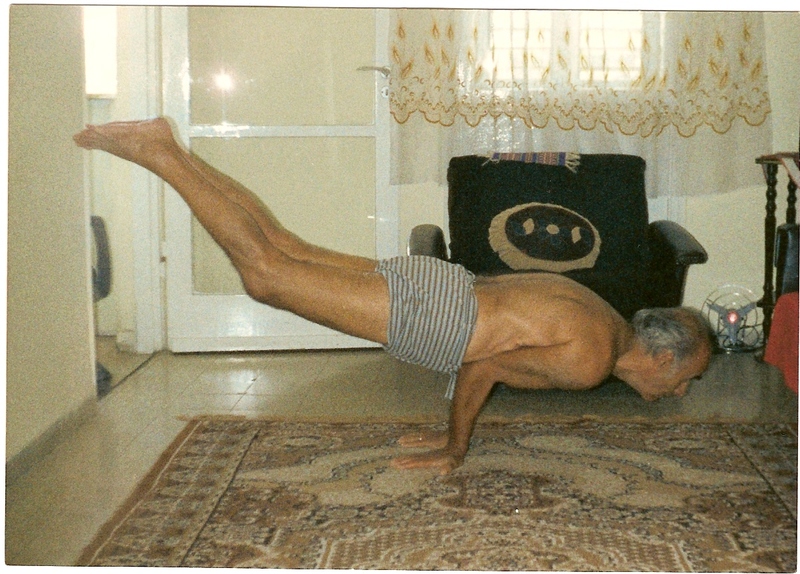 He taught himself yoga in his late teens, and practiced into his eighties. I am grateful to him for making yoga familiar, part of the daily routine. I didn’t practice myself until my early thirties, when I stumbled upon the loveliest yoga oasis, and one of the main reasons why, I believe, my path took me to South Carolina for a while: North Main Yoga in Greenville, SC. One day I might be able to explain the role Liz Delaney played in my life. My heart overflows with gratitude at the very thought of you, Liz. There is a lot of meaning and personal history behind the name of this blog, Blue Lotus. 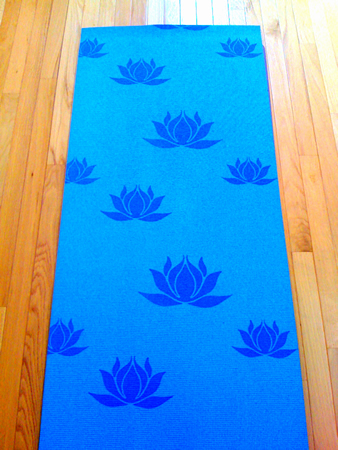 It is too much to share here, but it so happened (though I don’t think it was an accident) that my first yoga mat has blue lotus flowers on it. Let it mean that: first step, new beginnings, finding peace on the mat now and then, and someday, everyday.